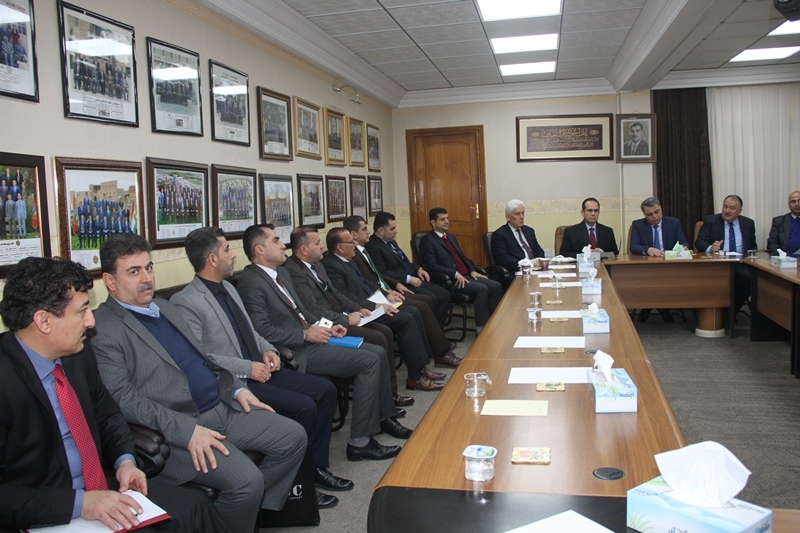 Dr Yousif Goran, Minister of Higher Education and Scientific Research, supervised the meeting of the Salahaddin University-Erbil (SUE) which was held on 14th January 2019 at SUE. 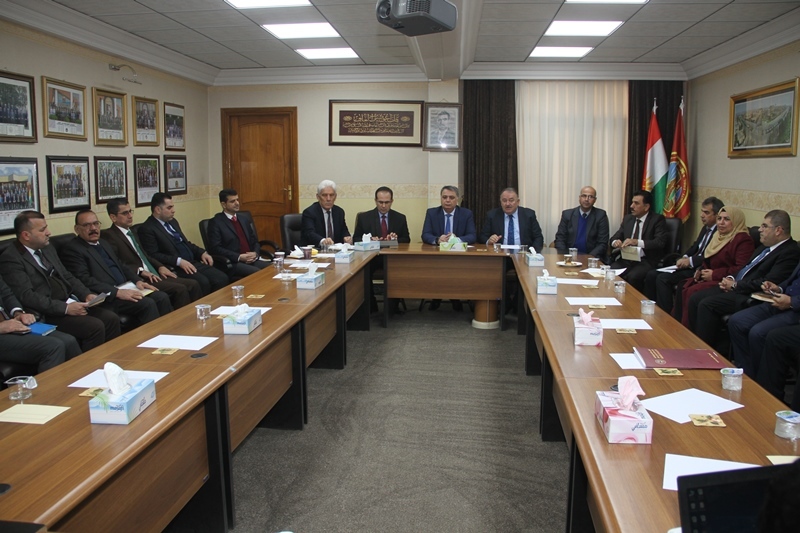 In the meeting, a number of significant issues were discussed including administrative, scientific and academic, and a number of important decisions were taken. 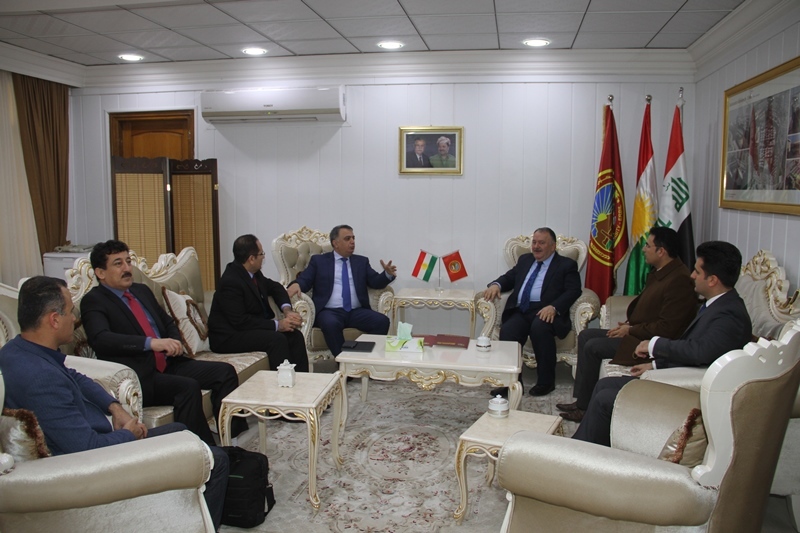 After welcoming Dr Goran his guest delegation, the President of SUE, Dr Ahmed Dezaye, explained the mission and vision of the University. He spoke about the recent Bologna project supported by the Ministry. For implementing the project, Dr Dezaye said, SUE has formed a committee. SUE President also said their biggest issue at SUE is not having a campus which has physically slowed down projects at the University. 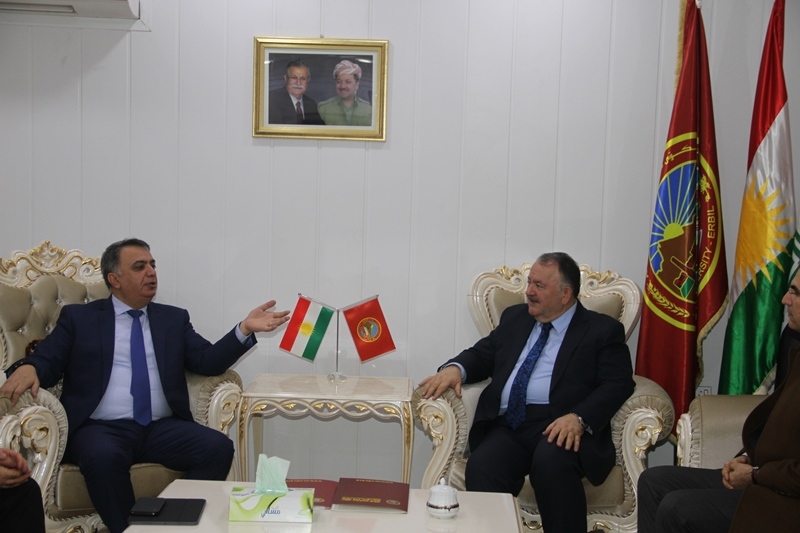 However, it hasn't stopped progress at the University as SUE has been at the forefront of the Kurdistan universities rankings. His Excellency the Minister, on the other hand, said that there has been a financial difficulty in the region in the past recent years. But fortunately, SUE has coped well with the difficulties and has seen a lot of progress. He personally thanked the University President and the staff for all the efforts they have made. He also said SUE has been one of the top universities which has been open to the changes proposed and supported by the Ministry. 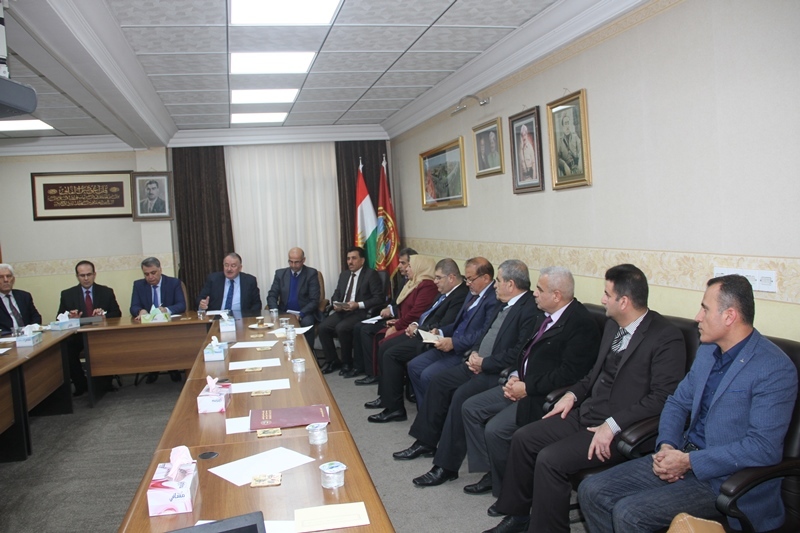 Later in the meeting, the vice presidents of the University, and deans of the colleges expressed opinions about the Ministry projects. They also spoke about financial and administrative issues.